Spring has graced us South Floridians with its presence once again. And while we might not be able to mark that with a season change here in Miami, it does mean one thing: the snowbirds are leaving. Aside from the one week we get flooded by droves of spring breakers, this is the time of year when the Magic City gets back to its roots. So join the locals, take in the traffic reduction, and make your way through the list below to see the best of Miami this spring. Someone paid over $60M to get Hard Rock Stadium in shape for its first-ever Miami Open, so even if you don’t like tennis, it’s worth checking out the resulting rooftop deck and beer garden. 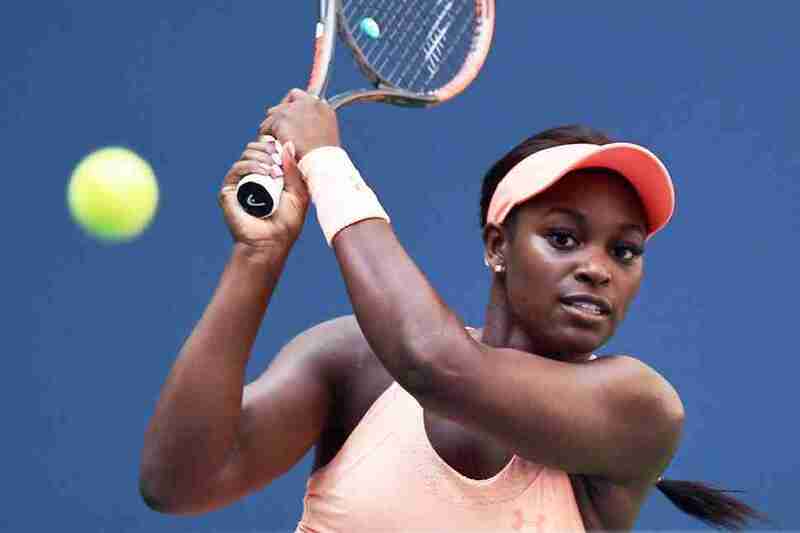 In terms of players, expect a venerable “who’s who” of the top names in tennis like the Williams sisters, the Bryan brothers, John Isner, Roger Federer, Rafael Nadal and Maria Sharapova. ...every Miamian knows what that means. Get your stomachs ready! The Miami-Dade County Fair & Expo, otherwise known as the Youth Fair, is back in Miami for 21 days. And during that time, you can eat alllll the horribly-delicious carnival food it’s known for. (Think: foot-long corn dogs, bloomin’ onions, roasted corn, elephant ears, fried oreos, fried mini donuts, arepas and more.) This year’s fair will also include the usual 90+ questionable rides, the “aromatic” petting zoo, agricultural competitions, a circus, light-up robots, an ice skating show, and concerts by Nelly and TLC. So put on your fat pants and get ready for a good time. Join the 150,000 EDM fans from across the world who come to Miami every March to do things that they’d probably get arrested for outside of Miami Music Week (MMW). Expect a debauched week of celebrity DJ pool parties, concerts, raves, dancing and, obviously, a lot of EDM. Start the Miami Music Week craziness with none other than a massive line up of b2b sessions (that’s “back-to-back” sets between two DJs, for you MMW newbies) with Stefano Noferini and Leonardo Gonnelli, Cuartero and Nathan Barato, ALX and Oscar L, Hector Couto and Mathias Kaden, Seb Zito and De La Swing, Carabetta & Doons, and Bryan Estefani and Rod B. Baseball is back! Kick off the season by watching the Marlins host the Colorado Rockies right here in the Magic City. If they start losing, fear not: you can eat your emotions at the stadium’s new Center Field Zone and Standing Room Only Social Section, with new grub at the ballpark for the 2019 season including concessions from Pincho, Novecento, and SuViche. Wrap up Miami Music Week with a pool party like no other. The National Hotel is actually home to the longest pool in Miami Beach, so join the masses partying around it and drink and dance with artists like Davide Squillace, DJ Sneak, Lauren Lane, Tiga and Steve Lawler. 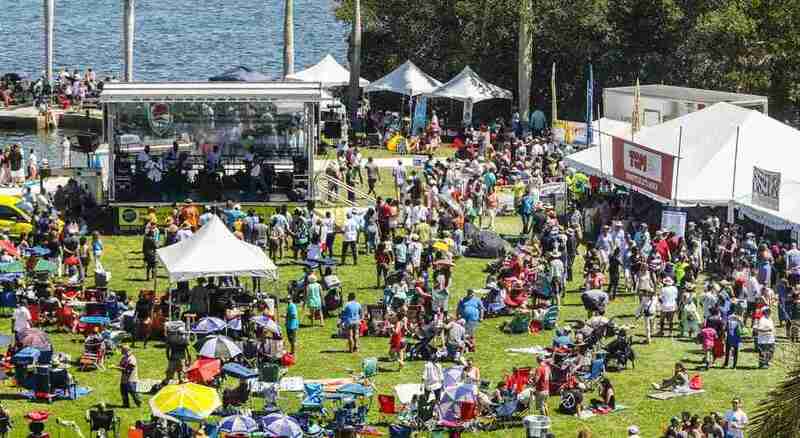 Spend a beautiful day at Deering Estate, Charles Deering’s 450-acre home in Miami’s Palmetto Bay neighborhood, when you attend the 15th annual Deering Seafood Festival. From 10am to 6pm, this family-friendly event will have a Bahamian Junkanoo parade, Virgin Islands stilt walkers, frozen drinks, a “Deering Discovery Cove” and kids areas, a live music stage, art booths, seafood from some of the best restaurants in Miami and so much more. One of the highlights of the day is definitely the chef tent, where you’ll find live cooking demos from top chefs like Giorgio Rapicavoli (Eating House/Glass & Vine), Angel Leon (Seaspice), Abel Veulens (Isabelle’s Grill Room & Garden) and Stanley Miller (Lightkeepers at The Ritz-Carlton, Key Biscayne). Hit the Frost Planetarium on the first and third Friday of every month, and get ready to rock. The planetarium is bringing back its famous laser light shows with a side of EDM, so sit, stand, lay down or dance under its 67-foot dome and jam out to Pink Floyd, Daft Punk, Radiohead, Bob Marley and more. The music will change every hour, on the hour, from 7pm to 1am. Get there BEFORE 10pm (we’re looking at you, Miamians) to take advantage of the onsite beer garden. 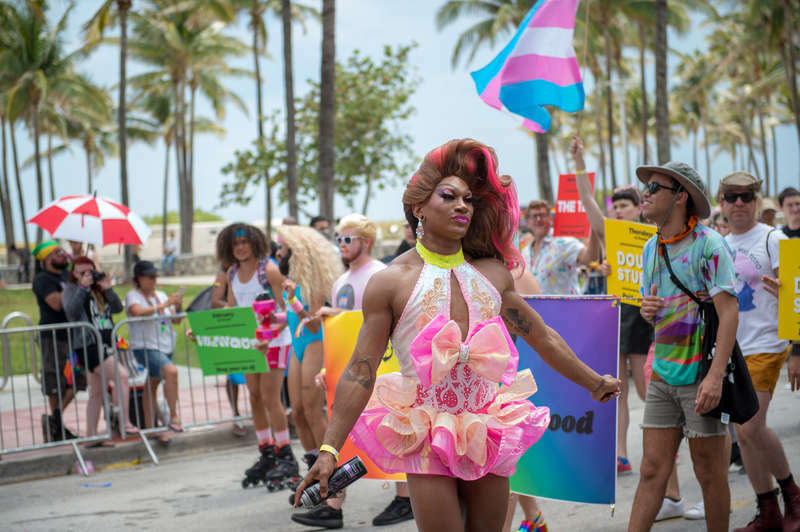 Miami PRIDE’s most raved-about event is back! Marking the official start to the weekend’s rainbow-tastic festivities, visit this club/bowling alley/ice skating rink/bar and party with four international DJs. All proceeds from the night benefit Miami Beach PRIDE. Ain’t no party like a Hamburger House Party! (And also, anything called a “Wiener Bash.”) Everyone’s favorite burger guru, Burger Beast, has handpicked his favorite burger and hot dog vendors in South Florida, all of which will compete for the title of “Best of the Best.” At this all-you-can-eat dual competition, make your way around the grandstand and try as many burgers, weenies, cocktails, craft beer and treats as your stomach can hold, and then vote for your favorite. For two days, join 80K people for an anything-goes weekend with world-class DJs, a gay pride parade, food booths, concerts, family-friendly activities, late-night parties and more. It’s definitely the most fabulously fun weekend in the Magic City! Inspired by Paris’s famed Le Diner en Blanc, this seventh annual all-white-clothed dinner is one of Swank Farms’ most popular annual events. Running from 5pm to 9pm, this dinner invites guests to dress in all white, bring some candles and candelabras (to light the night, of course), and enjoy good food and drink from Jose Gamez (Four Seasons Resort Palm Beach), Brad Kilgore (Alter), Michael Pirolo (Macchialina), Andris Salmanis (City Cellar Wine Bar & Grill) and Jennifer Johnson (Johnson’s Custom Cakes). Proceeds from Vetu de Blanc will go to Pathfinders of Palm Beach & Martin Counties. If you’re going to willingly swim a mile, bike another 24 and then run another six, at least do it someplace cool: like Miami. This annual race—which benefits the Save the Children Foundation—starts off in the Atlantic Ocean (parallel to South Beach), has you biking across Biscayne Bay, and ends with you running through Miami Beach’s historic Art Deco District. You might not feel your legs after, but the views will make the attempt worth it. Taking place on the third Thursday of every month, this free, citywide block party has everything your good time needs: food, live music and entertainment, wellness activities and fun for all ages. On this night, the theme is “Energize with Zumba,” so come ready to eat a good burger (Araxi Burger is a sponsor!) and shake your buns. We ride a lot of things on South Beach, but rarely are those things horses. For four days in April, however, that all changes. 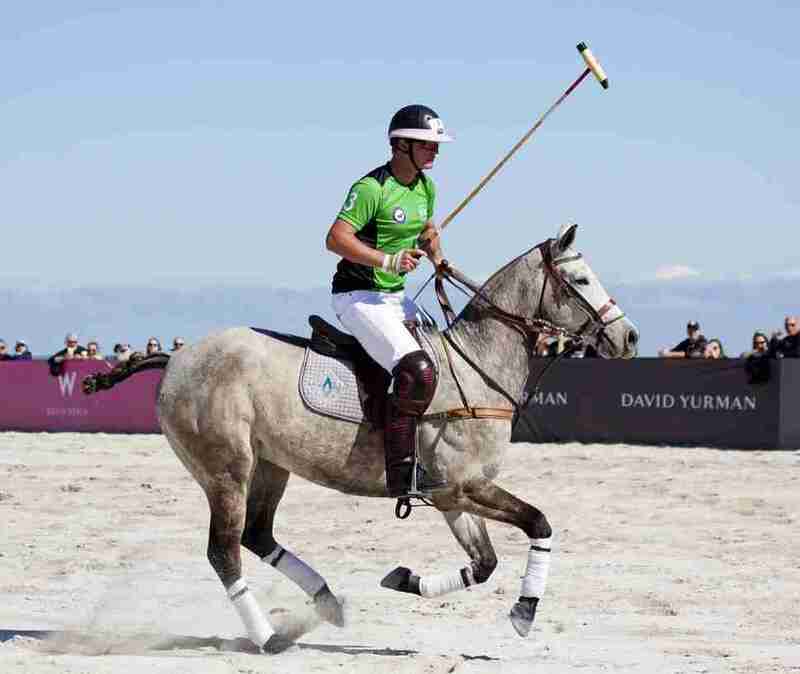 Head to the sand right behind The Setai, Miami Beach, and watch as the world’s best teams compete for the Miami Beach Polo World Cup. If you’re obsessed with technology, this conference is where you need to be. Bringing together some of the top names in tech—like singer/audio engineer Imogen Heap, Google’s William Caripe and Bryce Olsen of Intel—these three days on Miami Beach are filled with keynote speeches, expert-led panel discussions, a startup showcase, pitching contests, a “Hackathon,” inventors with their latest and greatest technology, and more. The largest hip-hop festival in the world, Rolling Loud, takes place right here in Miami, and it’s turning five this year. Bringing together some of the biggest names in the rap game, this three-day mega-festival will feature 90+ artists including Cardi B, Rae Sremmurd, Rick Ross, Lil Wayne, Soulja Boy, Tyga, DMX, Wiz Khalifa, and headliners Migos, Travis Scott and Kid Cudi. Rascal Flatts are coming to South Florida on their Summer Playlist Tour 2019. Grab a lawn seat and let that Igloo cooler demarcate your personal piece of paradise. The ex-Nickelodeon star is embarking on her American and European tour—and to make it bigger than ever, she’s combining her two most recent albums: Sweetener (August 2018) and Thank U, Next (February 2019). Celebrate diversity in film at this annual festival which will screen 1,000+ feature films, documentaries, shorts and web originals over a long weekend. For those who want to pursue a career in film, there are also master classes, panel discussions, talent discovery programs, tech talks and "careers in entertainment" sessions by leading media companies and celebrities. 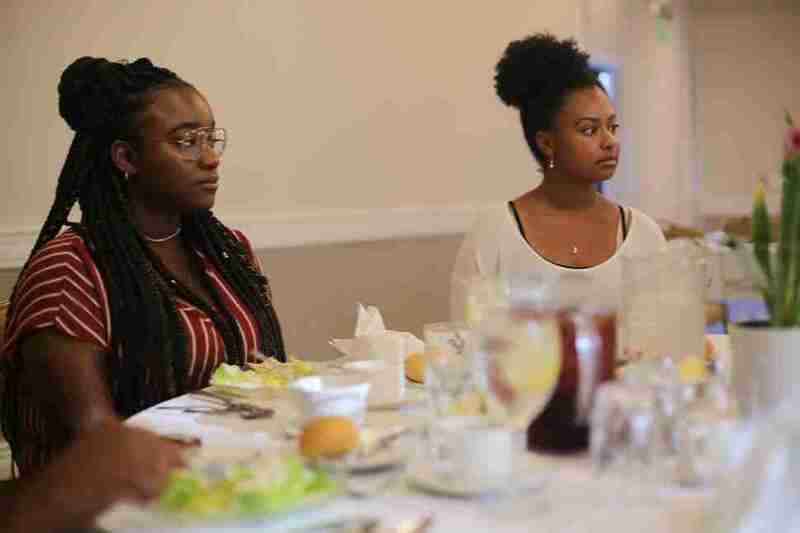 One of the highlights of ABFF is the HBO Short Film Competition, which showcases five short films and awards the best $10K. Calling all Floyd fans! This will be a show like none other. Dubbed “the world’s greatest live tribute to Pink Floyd,” Brit Floyd will recreate the jaw-dropping 1994 Division Bell tour, complete with a multi-million dollar light show, lasers, inflatables and more. Jennifer Agress is a Miami-based freelance writer and editor.